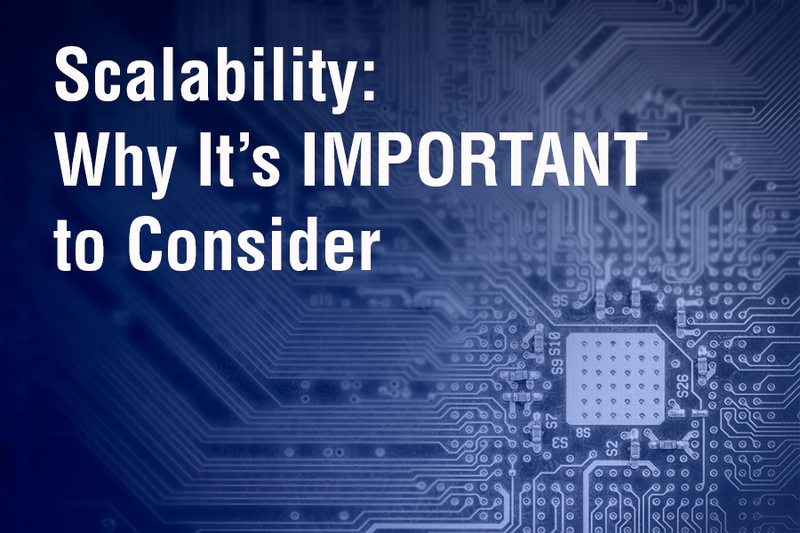 Scalability is critical for businesses to consider when making purchase decisions. We all know the importance of planning for the future and scalability gives us the opportunity to do so without breaking the bank. Think about it, when you outgrow your current software, or when you aren’t sure on whether to buy what you need now vs your future solution needs, what do you do? Do you purchase software with more features than what you need—and at a higher cost as well—because you think maybe you’ll use their features, only you end up not using even a quarter of them? Do you worry about the day when your current software will run out of gas? If you answer yes to either of these questions, you're not alone. This is where a scalable solution would have made a difference. Scalable solutions allow you to use your software effectively while protecting your investment—not only in the software—but the training, ramp time, and infrastructure investment required to design and build electronic products. Common issues many users and organizations run into when using non-scalable solutions is data sharing—sharing data and information across groups is ineffective when design teams are using a disparate set of design tools due to their different design complexity requirements. Another problem is dealing with unforeseen software limitations—sadly, something discovered after a software has been purchased and your needs increase. The consequences of hitting a wall with software that can’t grow with you is having to re-train your employees, design translations, not being able to customize the software to your specific needs, and ultimately costing you more money in the long run. Scalable solutions provide businesses with the opportunity to purchase only what they need, when they need it, and upgrade when they are ready—all in a seamless fashion. This way, your business can grow without having to stop and spend unnecessary amounts of money and time just trying to get a solution up and running as your needs increase or change—you can focus on what’s important, your business and building great products. For more information on EMA's scalable solutions, visit Scalable PCB Design or contact us here.